Dress lips in utter temptation with the Clarins Joli Rouge Velvet Lipstick, an intense lip colour with a soft matte finish that feels daring, not drying. When you want your lips to make a statement, reach for this opulent lipstick. 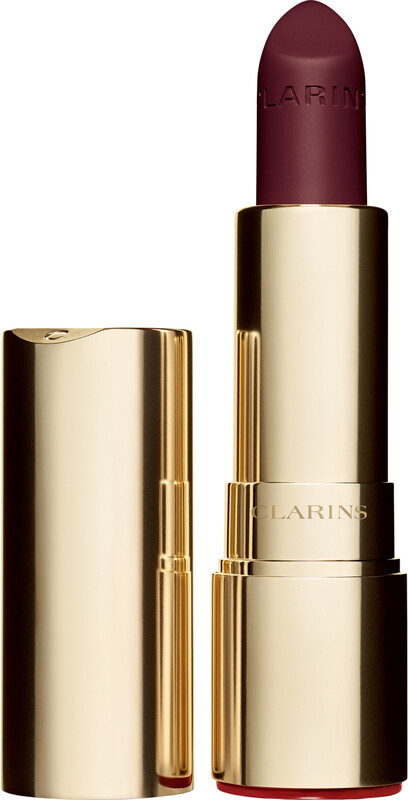 Joli Rouge Velvet offers a long-lasting, perfected lip look that’s saturated with the sumptuous colour of a Velvet Booster Complex. Although it has a matte finish, the creamy lipstick keeps lips comfortable and moisturised with an ultra-flattering, luminous result. Joli Rouge Velvet is created with apricot oil and marsh samphire extract to keep lips supple and kissable for up to six hours. An added infusion of ultra fine microbeads create a double mattifying action that absorbs oiliness, ensuring a truly shine-free result. If your lips tend to be dry, begin with your favourite Clarins lip balm. Trace lips with a lip liner to ensure that your lipstick stays exactly where you want it to, and finish by dressing your smile in Joli Rouge Velvet colour. 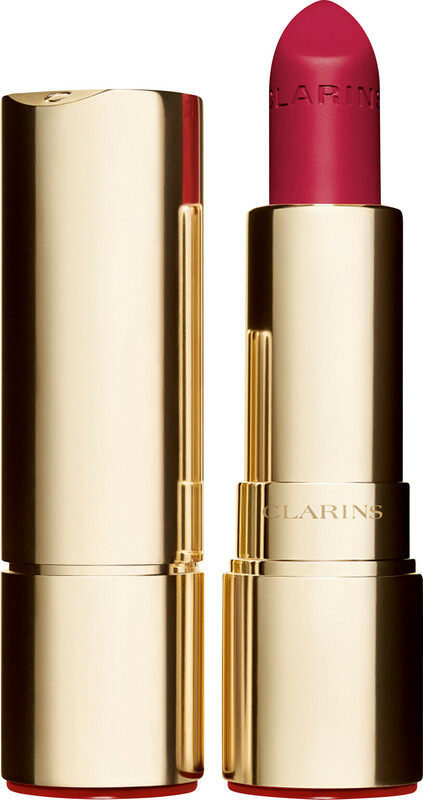 Clarins Joli Rouge Velvet Lipstick is rated 3.0 out of 5 by 1. Rated 3 out of 5 by Jillann from This lipstick is very dry. Not comfortable on the lips. I have not used this before and would not reorder.